Wood Casework Solutions for Life. Learning. Discovery. CiF Lab Solutions offers a robust selection of wall, base and tall cabinet configurations that are designed to fit each of your classroom’s unique needs, such as ADA compliance, and the use of environmentally sustainable materials that are long-lasting to name a few. 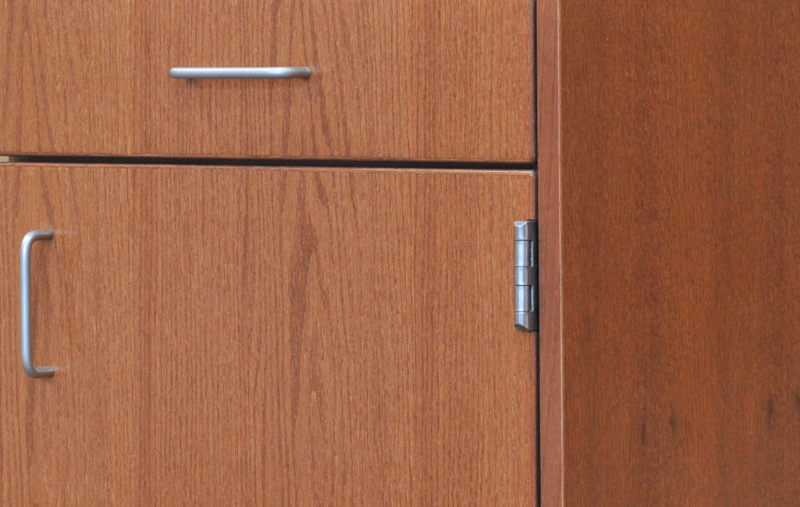 When you choose the time tested durability of CiF wood casework you’ll also receive superior consistency in grain and color as well as our unparalleled flatline finish. 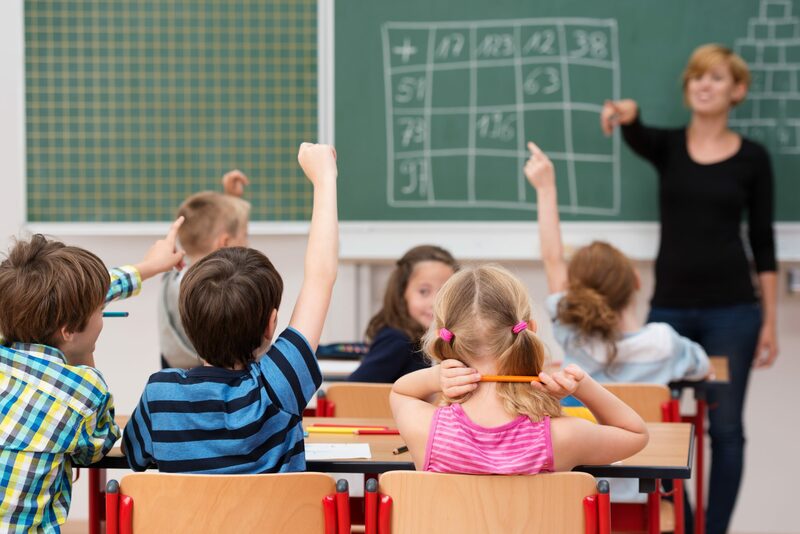 Let our team of design experts help you choose the best options to fit your classroom needs, while ensuring that all critical aspects of your project are identified and addressed. From pre-schools to high schools; educators and students need a space that supports their unique teaching and learning styles. The Educator Series construction and finish meets SEFA-8W standards, aligning its performance characteristics with the same quality utilized by the laboratory and university markets. In addition to quality of construction, Educator shares the same aesthetically pleasing style found in the laboratory and university markets as well. The Educator Series is perfect for any curriculum from; art, consumer careers, technology, science, general education, and more. 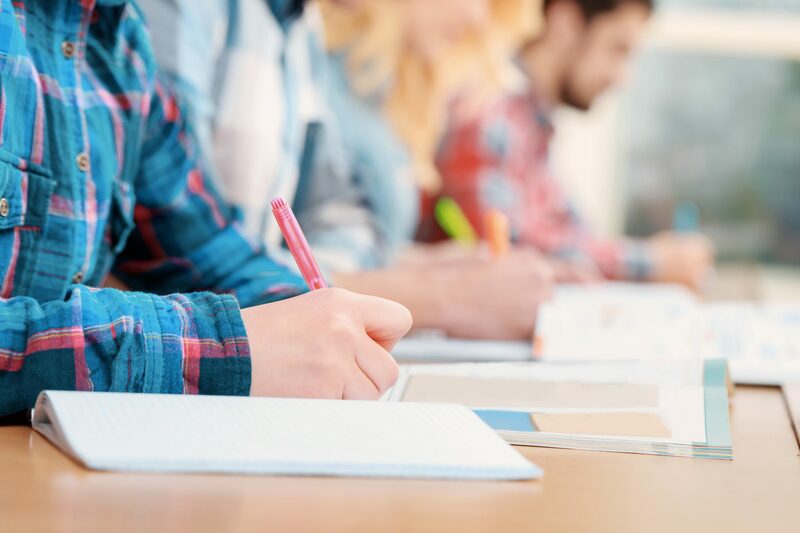 As higher education has become increasingly competitive in recent years, many colleges and universities have had to find creative ways to maintain their enrollment and distinguish themselves as institutions that are paving the way for future problem solvers and leaders. CiF’s tier one wood casework solution, the Educator series, meets SEFA-8W performance and construction standards, providing the very best in terms of durability and longevity. 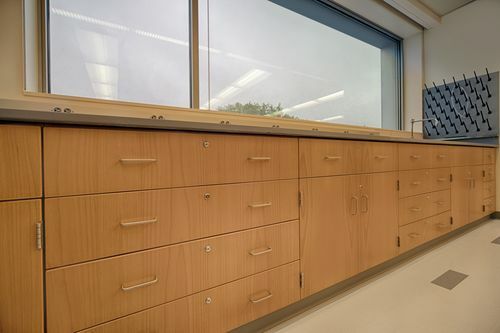 Our standard ULEF core/panel substrates, and FSC certified materials can contribute toward your pursuit of LEED certification, providing your students and staff with a healthy and safe environment. CiF’s experts have developed this line, selected its standard and optional features, to meet the discerning requirements of the laboratory and higher education markets, all while maintaining a real focus on value, quality and aesthetics. Casework construction and premium flatline finishing meets/exceeds SEFA-8W and AWI-QCP finishing standards. CiF’s robust line of base, wall and tall cabinet configurations deliver an aesthetically pleasing symmetrical style to any classroom. North American veneer core plywood is NAUF and FSC® certified. Composite core materials are ULEF and FSC® certified. A traditional full flush overlay casework style with integral end panels. Same premium construction details and materials, but features applied end panels for a “furniture appearance”. CiF selects the highest quality red oak and white maple plain sliced veneers to ensure consistency in grain and color. 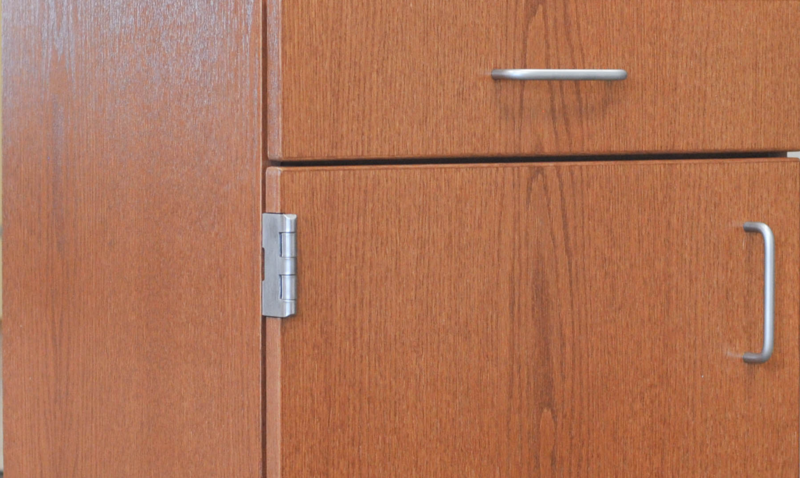 The Educator Series features vertical grain matched fronts with premium reveals of 1/16” on cabinet ends, providing 1/8” reveals from cabinet to cabinet. The result: perfectly symmetrical lines that deliver a sleek refined style. Hover over the hotspots to reveal Educator Series product information. Sharon City School District decided it was time to renovate its middle and high schools to accommodate their evolving STEM/STEAM curriculum. The district wanted to provide its students with a collaborative environment that fosters critical thinking and hands-on problem solving. Restructuring their science curriculum to accommodate STEM/STEAM learning also required improvements to their classroom spaces. CiF was challenged with providing a robust, durable and highly functional casework solution that will meet their current and future instructional needs. All this while providing a superior aesthetic equal to that typical of higher education facilities. In addition, the NEIS/CiF project delivery team faced an incredibly aggressive schedule. 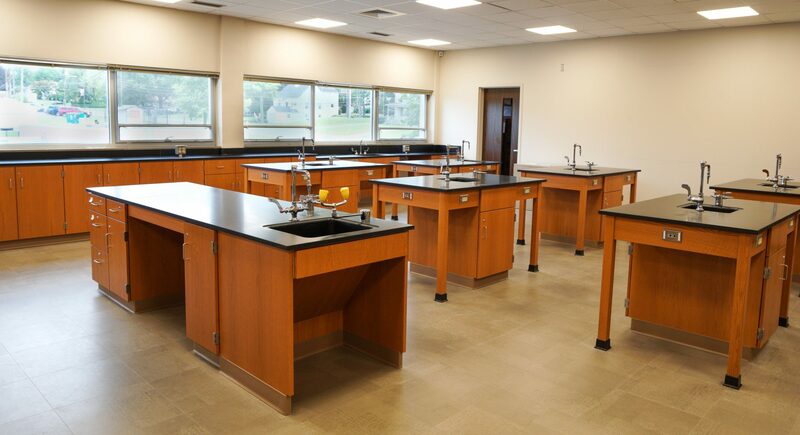 CiF provided Sharon City School District with premium Educator Series full flush overlay wood casework. The Educator Series is a strong and resilient casework line that is fabricated in accordance with SEFA-8W and AWI-QCP’s stringent construction and finishing standards; thereby meeting the District’s long-lasting performance requirements. Vertical matched AA veneer fronts significantly reduce variation in grain and color, providing the customer with a naturally stunning aesthetic. The Educator Series cabinet line was purposefully designed to flow efficiently through CiF’s factory, allowing the project team to meet this aggressive schedule by consistently providing on-time, complete and accurate deliveries.